Scott Walker: State's Ultrasound Law Isn't 'A Crazy Idea' : It's All Politics Speaking about his state's law that requires an ultrasound before an abortion, the Wisconsin governor said he meets people all the time who are excited to show him ultrasounds of their grandkids. Gov. Scott Walker of Wisconsin speaking to reporters in West Des Moines, Iowa, earlier this month. Republican Scott Walker dismissed any controversy over a law he signed in Wisconsin requiring women seeking abortions to get an ultrasound, referring to ultrasounds in an interview on a conservative radio show as "just a cool thing out there." The Wisconsin governor, who is likely running for president and leading in early state polls, spoke about a range of issues Friday on The Dana Show, including immigration, the economy and education. About 15 minutes in, host Dana Loesch asked, "What place do you think social issues have in 2016? And why do you think so many Republican candidates are scared of them? Are they scared to embrace them; they're scared to get trapped by the media?" "I'll give you an example. I'm pro-life, I've passed pro-life legislation. We defunded Planned Parenthood, we signed a law that requires an ultrasound. Which, the thing about that, the media tried to make that sound like that was a crazy idea. Most people I talk to, whether they're pro-life or not, I find people all the time who'll get out their iPhone and show me a picture of their grandkids' ultrasound and how excited they are, so that's a lovely thing. I think about my sons are 19 and 20, you know we still have their first ultrasound picture. It's just a cool thing out there. "We just knew if we signed that law, if we provided the information, that more people if they saw that unborn child would, would make a decision to protect and keep the life of that unborn child." 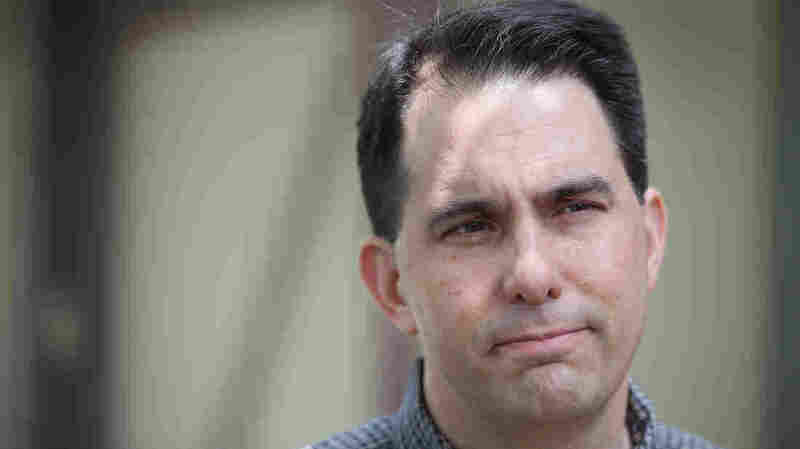 Walker added that issues like abortion "shouldn't be the only thing" conservatives focus on. "We should make sure that people know us for fiscal and economic strengths as well," he said. "It certainly is a part of who we are and we shouldn't be afraid to talk about it, and we shouldn't be afraid to push back. When you think about Hillary Clinton, and you think about some others on the left, you say, I think it's reasonable, whether you're pro-life or not to say that taxpayers' dollars shouldn't be spent to support abortion or abortion-related activities. Most Americans believe in that. There are many candidates on the left who don't share that belief." Planned Parenthood President Cecile Richards responded to Walker's comments in a statement Wednesday saying: "Women are very clear that forced government ultrasounds are not 'cool.'" Richards called Walker's statement "appalling" and added "the real problem is the record behind his words." Abortion rights were also in the news Wednesday because a federal appeals court struck down an Arkansas law banning abortion after 12 weeks. That law was considered one of the most restrictive in the country.